I first met Martin McGregor in this funny tale when Martin wants it to snow so badly he is willing to try just about anything to make it happen. Martin has more troubles now. His favorite teacher broke his arm mountain climbing and has been replaced by a substitute that LOVES homework and will not accept any excuses if you don’t have it. Poor Martin…his dog eats his homework one day (REALLY! ), then his spelling homework accidentally gets washed the next day and then another day Martin grabs his little sister’s backpack instead of his own. Martin is VERY relieved when his teacher finally comes back and, of course, that is the ONE day Martin has his homework. 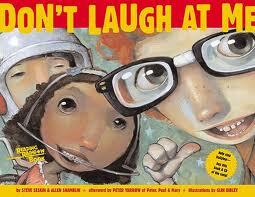 I’ve reviewed several books this week that cover the topic of bullying. 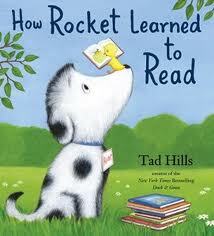 I would say of all of the books I have reviewed this week, this book covers the topic most seriously. This book addresses students who wear glasses, who have braces on their, who have learning disabilities, who are in wheelchairs, who get chosen last on the playground, even the homeless and how name calling and pointing and staring are hurtful. I love the ending message that we are all the same in God’s eyes and that’s all that matters. This book also comes with a CD of a song that goes along with the book. If you listen to the song, you will cry. I’m just warning you. 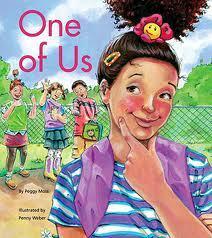 Roberta is starting a new school and soon finds a group of kids she seems to fit in with in her classroom. At recess, she has to find another group of kids to play with because the first group doesn’t like to play on the monkey bars like she does. At lunch she has to find yet another group to sit with who have the same kind of lunch she has. Slowly, all of the kids start to realize that they can’t all be alike in every way and that’s the best part…their differences. 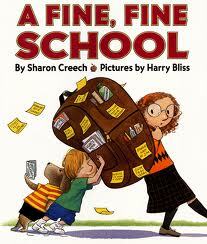 This would be a great book for a child who is moving to a new school. 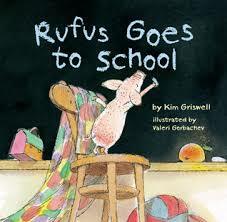 It would also be a good book for any child in school to talk about how to make new students feel welcome. Lastly, this might be a good addition to a discussion about bullying since people’s differences can be one of the causes of name calling. Many children go though a stage in their lives where someone is bullying them. It might be at school, in their neighborhood, at their place of worship or at childcare. 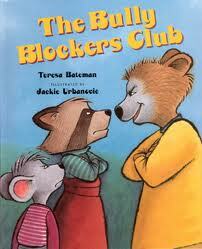 This is a book that as a parent, you might want to read to yourself first and then share it with your child. It is a great example of how a child who was being bullied talked to others and was able to come up with a plan to not only help herself, but help others too. If nothing else, this book could be a great tool for discussion. 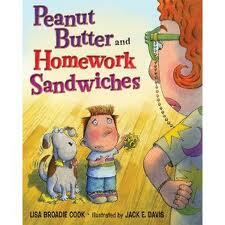 Zack quickly learns that when his new teacher, Miss Smith, tells a story she sure knows how to “bring it to life”. Things get pretty exciting in 2nd grade, especially when Miss Smith is gone for the day and things in storyland start to get out of hand. 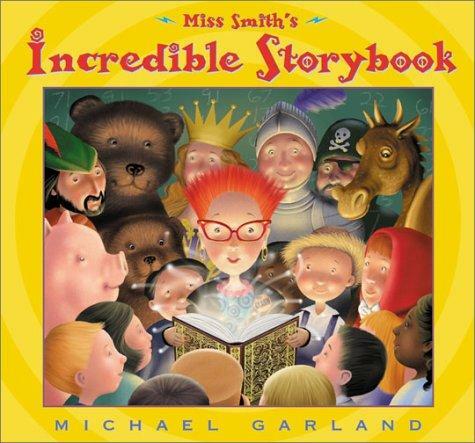 This book shows the magic of what great storytelling can do as well as the magic of a fantastic teacher. If you take a mouse to school you will have to share your sandwich. He will want to borrow your paper, your pencils AND your lunchbox. He will make a mess and will make you wonder why you ever brought your mouse to school. 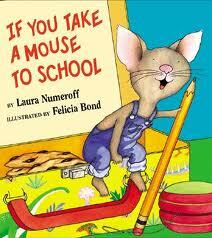 Kids love these books by Laura Numberoff and this one is no exception and is a perfect read for back to school season. Alice Ann has a lot to do to get ready for her first day of school. She finds the perfect shoes and the perfect lunchbox and the perfect notebooks in her favorite colors. Alice Ann is up and at ’em on the first day…she eats her breakfast, her sister fixes her hair and then Alice Ann lets her younger brother help her get her backpack packed while her dad makes her lunch. Pictures are taken and then dad dad yells “BUS!” and Alice Ann is off and running. I love this book because not only does it tell the story of Alice Ann getting ready for school, but it also shows the love that these family members have for each other in how they help each other out, reassure each other and tell stories of the days when they were in school.